Authorities had profiled San Diego’s newest serial killer as a disorganized opportunist. They were wrong. While Serial Killers usually target victims of their own race, Cleophus Prince, Jr. was an African-American who systematically stalked, raped and murdered, white women. Turned out, Prince Jr. was one of California’s most organized and methodical serial killers. He mercilessly held San Diego on edge and in great fear for over a year until finally being apprehended during a burglary in Alabama. Because of the unconventional victims he targeted, his modus operandi and very distinctive signature, law enforcement was stumped and their profiling theories were often wrong. Born and raised in Birmingham, Alabama, Cleophus Prince, Jr. joined the United States Navy after graduation. A deceivingly normal background and pleasant disposition led most to believe he would do okay in life and to never suspect his darker cravings. But then Prince Jr. began to change. Those violent thoughts and desires plagued his mind and entire being until they became unquenchable. And quench them he did. In his latest true crime account, bestselling author C.L. 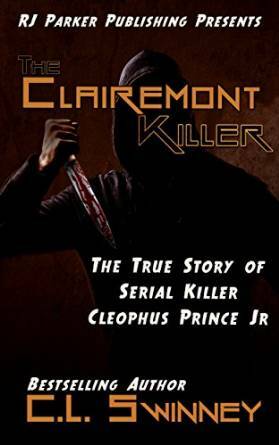 Swinney chronicles the life story of Cleophus Prince, Jr. - California’s most horrific and calculated serial killer.